In the last article, we have covered few useful tools like ‘rTorrent‘, ‘wget‘, ‘cURL‘, ‘w3m‘, and ‘Elinks‘. We got lots of response to cover few other tools of same genre, if you’ve missed the first part you can go through it.. 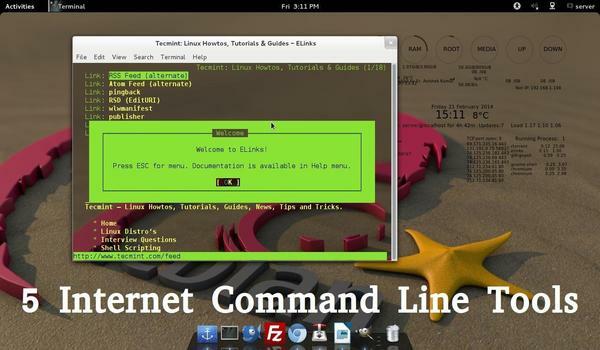 This article aims at making you aware of several other Linux command Line browsing and downloading applications, which will help you to browse and download files within the Linux shell. Links is an open source web browser written in C programming Language. It is available for all major platforms viz., Linux, Windows, OS X and OS/2. This browser is text based as well as graphical. The text based links web browser is shipped by most of the standard Linux distributions by default. If links is not installed in your system by default you may install it from the repo. Elinks is a fork of links. After installing links, you can browse any websites within the terminal as shown below in the screen cast..
Use UP and DOWN arrow keys to navigate. Right arrow Key on a link will redirect you to that link and Left arrow key will bring you back to the last page. To QUIT press q. Here is how it seems to access Tecmint using links tool. If you are interested in installing GUI of links, you may need to download latest source tarball (i.e. version 2.9) from http://links.twibright.com/download/. Alternatively, you may use following wget command to download and install as suggested below. Note: You need to install packages (libpng, libjpeg, TIFF library, SVGAlib, XFree86, C Compiler and make), if not already installed to successfully compile the package. A text based web browser released under GNU GPLv2 license and written in ISO C. lynx is highly configurable web browser and Savior for many SYSAdmin. It has the reputation of being the oldest web browser that is being used and still actively developed. After installing lynx, type the following command to browse the website as shown below in the screen cast..
After installing, try to download files from the Youtube site, as shown in the below screen cast. It is a command utility for unix-like operating system that is used for URL retrieval. It supports a lot of options like fetching ipv4 only address, ipv6 only address, no redirect, exit after successful file retrieval request, retry, etc. But before you compile and run it, you should install HTTP Fetcher. Download HTTP Fetcher from the link below. Axel is a command-line based download accelerator for Linux. Axel makes it possible to download a file at much faster speed through single connection request for multiple copies of files in small chunks through multiple http and ftp connections. After axel installed, you may use following command to download any given file, as shown in the screen cast. aria2 is a command-line based download utility that is lightweight and support multi-protocol (HTTP, HTTPS, FTP, BitTorrent and Metalink). It can use metalinks files to simultaneously download ISO files from more than one server. 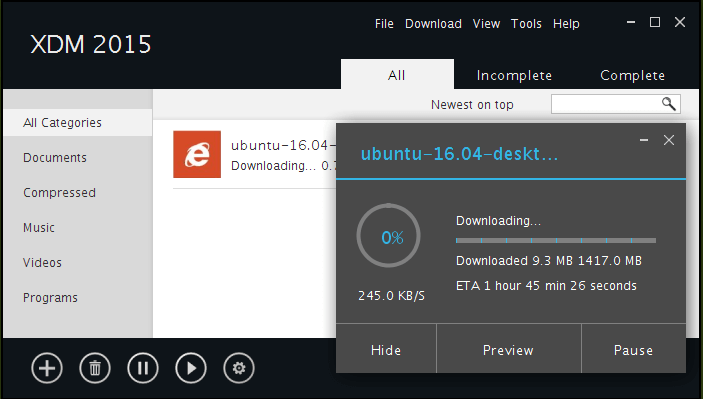 It can serve as a Bit torrent client as well. If you’re interested to know more at aria2 and their switches, read the following article. w3m is a another open source text-based web browser very similar to lynx, which runs on a terminal. It uses emacs-w3m an Emacs interface for w3m to browse web sites within emacs interface. After installing w3m, fire up the following command to browse the website as shown below. That’s all for now. I’ll be here again with another interesting topic you people will love to read. Till then stay tuned and connected to Tecmint. Don’t forget to provide us with your valuable feedback in the comments below. Like and share us and help us get spread. between, was looking for a simple terminal-based markdown viewer and came across ‘Terminal Markdown Viewer’ (mdv at github). It’s one of the few that’s python-based (pip install) and does a really nice job rendering MD locally. I suppose this makes it a subClass of the more able full-fledged browsers. Anyway, thought I’d share a specific use-case. Lynx is a good cli web browser. In fact I am using lynx right now. Could you use screen? Might work for some aspects, of this scenario…..